As a U.S.-born journalist who has called Havana home for almost a quarter century, Mark Frank has observed in person the best days of the revolution, the fall of the Soviet bloc, the great depression of the 1990s, the stepping aside of Fidel Castro, and the reforms now being devised by his brother. In Cuban Revelations, Frank offers a first-hand account of daily life in Cuba at the turn of the twenty-first century, the start of a new and dramatic epoch for islanders and the Cuban diaspora. Examining the effects of U.S. policy toward Cuba, Frank analyzes why Cuba has entered an extraordinary, irreversible period of change and considers what the island’s future holds. The enormous social engineering project taking place today under Raúl’s leadership is fraught with many dangers, and Cuban Revelations follows the new leader’s efforts to overcome bureaucratic resistance and the fears of a populace that stand in his way. In addition, Frank offers a colorful chronicle of his travels across the island’s many and varied provinces, sharing candid interviews with people from all walks of life. He takes the reader outside the capital to reveal how ordinary Cubans live and what they are thinking and feeling as fifty-year-old social and economic taboos are broken. He shares his honest and unbiased observations on extraordinary positive developments in social matters, like healthcare and education, as well as on the inefficiencies in the Cuban economy. Ultimately, Cuban Revelations is an objective account by a reporter who has lived with the Cubans for many years as their old world falls apart and they set about trying to build a new one. Marc Frank is a U.S.-born journalist who has called Havana home for almost a quarter century. He has observed the best days of the revolution, the fall of the Soviet bloc, the great depression of the 1990s, the stepping aside of Fidel Castro, and the reforms now being devised by Raul. 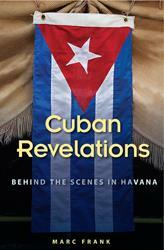 Cuban Revelations offers a first-hand account of daily life in this fascinating culture. The most useful account, hands down, of contemporary Cuba. It’s a must-read for anyone trying to understand the changes on the island today. Marc Frank’s book is thought-provoking; it intelligently observes the current reforms; it raises, and tries to answer, central questions. And it’s an enjoyable read, too. You just couldn’t do an analysis like this if you hadn’t been following closely for a quarter century, he has… thanks to old school newspaper reporting, contacts carefully cultivated over a professional career and some shrewd observation, Frank’s book is considerably deeper than much of the work on the subject. It takes on the challenge of describing what’s in a black box with energy and candor. 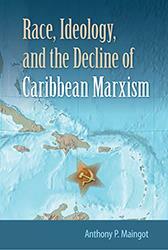 A remarkably rich, gritty account of daily life today in the twilight of Caribbean socialism. 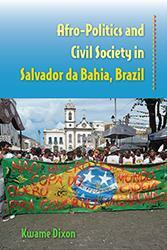 A must-read for Cuba watchers and readers wanting to understand the island. Essential for a sharper grasp of Cuban-American relations and the role American politics plays in the sovereignty of this independent state. The book is beautifully written with wire service economy, abundant and interesting detail, affection for Cuba and its people, and the benefit of observations that stretch back 20 years. If you are reading any other book on Cuba right now, close it... 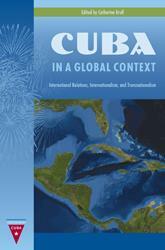 The most informative, accurate, insightful, detailed account available on 21st century Cuba. 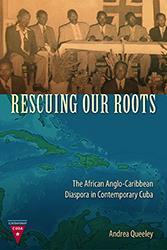 This book is based on solid sources, first hand investigation, 'behind the scenes' access, and an understanding of Cuba and Cubans that is very, very rare. The most useful account, hands down, of contemporary Cuba. It’s a must-read for anyone trying to understand the changes on the island today. A seminal account of Fidel Castro’s failing health and transfer of power; of his younger brother Raul’s differing style and early record in government; of the plan hatched for sweeping economic reform; and of changes in U.S. policy under the Clinton, Bush and Obama administrations. [Frank] hides neither his admiration for Cuba nor his pride at its citizens’ ability to survive the numerous tumultuous times and turbulences that outsiders repeatedly predicted would lead to chaos in the streets and, finally, the end of the Castro regime. A blend of travel narrative and journalistic commentary establish[es] a better and (nonpartisan) comprehension of Cuba’s history. 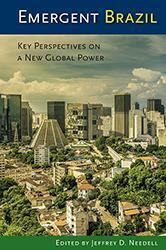 An incisive, revealing portrait of a nation on the brink of transformation. Mark Frank writes vividly about this period. Cuban Revelations is a timely and well written book covering [one] of the most interesting American foreign policy issues and the inner workings of a country closed off to Americans. A very worthwhile read. Comprehensive and important...Provides vital historical context for the Revolution and explores a wide range of social, political and economic issues, including agricultural reform....A #mustread for anyone interested in Cuba. 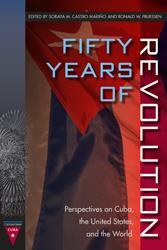 An excellent history of the unfolding of Raul Castro’s updating of the Revolution. 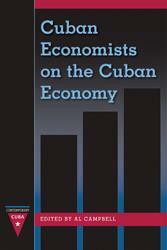 [and] a fine source on Cuba’s overall economic social and political experience of the raulista era. 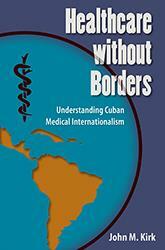 A vivid, engaging exploration of Cuban politics, culture and economic life.... Captures the complicated relationship between the state and Cuba’s religious communities; the movements of the state as it scrambles in the face of one crisis after another; Cuba’s artistic and intellectual life; Cuba’s foreign relations and its role in the region; Cuba’s history and the ways daily life in the country is permeated by a deep sense of history. [A] detailed investigation of Raul Castro’s reforms since his unexpected appointment to power in the summer of 2006. 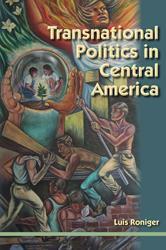 Offers 25 years of reportage and commentary, hauling up a sort of core sample of telling details. A clear and compelling guide to the transition from Fidel to Raul Castro after the demise of the Soviet Union. . . .Frank’s excellent and accessible volume tells us how Cuba is slowly but surely changing, a story largely missed in Washington. In Cuban Revelations, Frank offers a first-hand account of daily life in Cuba at the turn of the twenty-first century. This is the start of a new and dramatic epoch for islanders, the Cuban diaspora, and the evolution of the U.S.-Cuban relations. 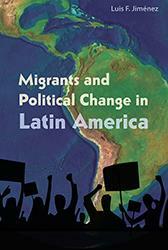 A profound and nearly unrivaled saga of political transition and transformation . . . Covers Cuba without an ideological agenda, draws on sources in the system for documents and leaked insights, and wields enough irony to enliven a narrative that documents the socioeconomic forces driving political change.